Yesterday my friend Dean and I went to an auction he was alerted to a few days earlier. He was told that there would be items of interest at said auction(toys). He told me about it on Saturday, and I immediately agreed to go. The TMNT Sewer Playset went with Dean, as that was the highlight of the whole auction for him. It’s missing 3 small pieces, which I do not think will be too much trouble to find second-hand. And the real kicker?? The playset(which looked great when it was assembled correctly, and we snapped a few things in place), which also included the Party Wagon, the G.I. 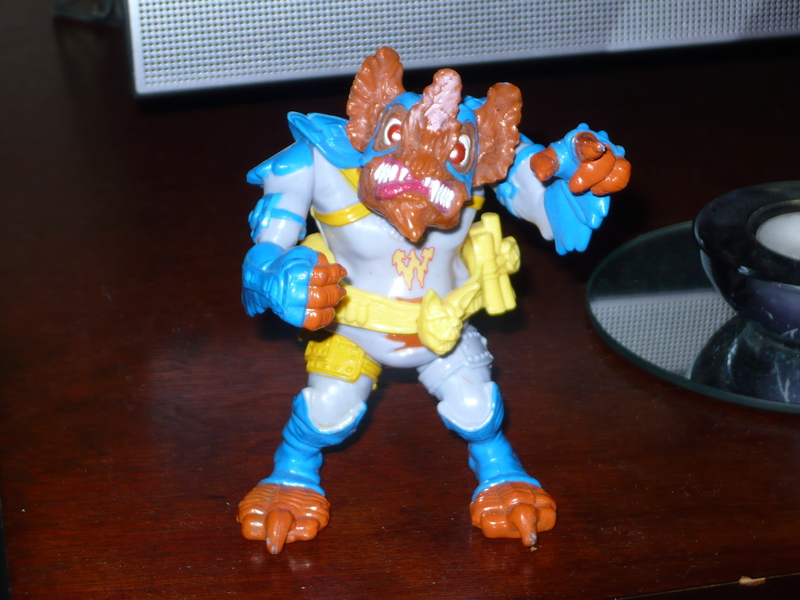 Joe vehicle, the TMNT Foot skier(not sure of the exact name at the moment), as well as other odds and ends was sold to us at the final price of $25!!! 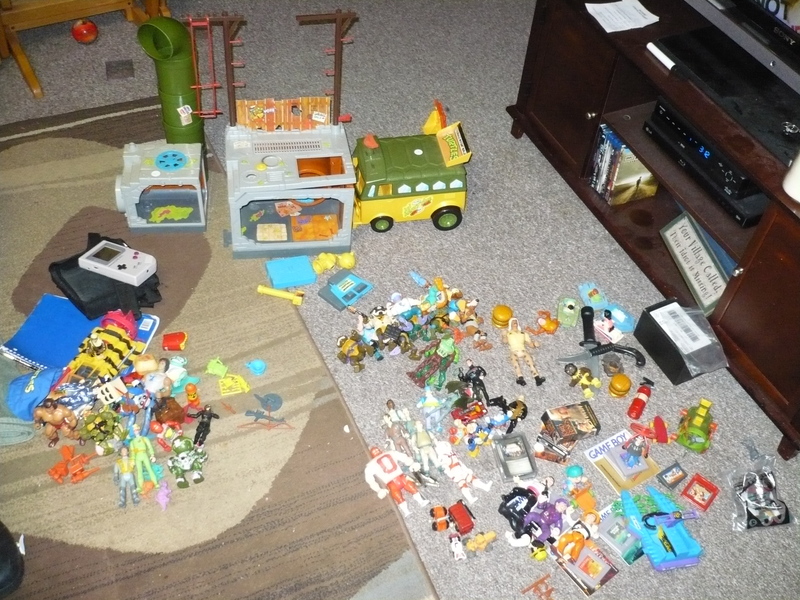 Most of the other stuff in the photo below(click on it to see everything bigger) came in a huge action figure lot, and a small Game Boy lot. We divvied up the loot, and both sides are happy. There were some things that I would have liked to have, but there was so much, that I just don’t have the room for everything I want for the collection, so I had to temporarily pass on them. My pile is to the left, and it includes the Party Wagon. Expect to see what’s in the pile in the comings weeks(lots of stuff). Some great additions, and definitely a few surprises. I saved the best for last. Not only is it my favorite character, but it’s my favorite representation of that character as well. My wife bought this for me(at my request), for my birthday back in 2008. I believe it cost around $14.99 at the time, which is a bargain compared to what some people are now asking for them. 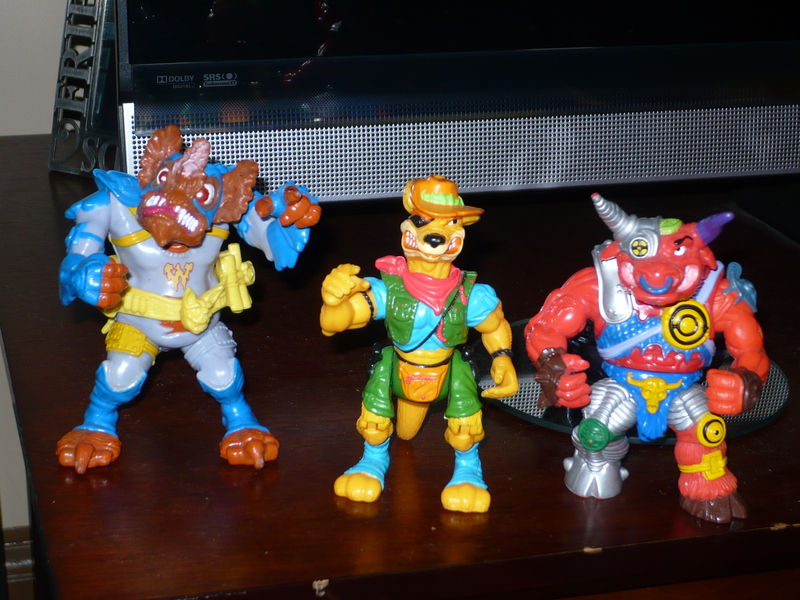 TMNT is one of my favorite toylines as well as my favorite comic series(the early Mirage stuff is the best). 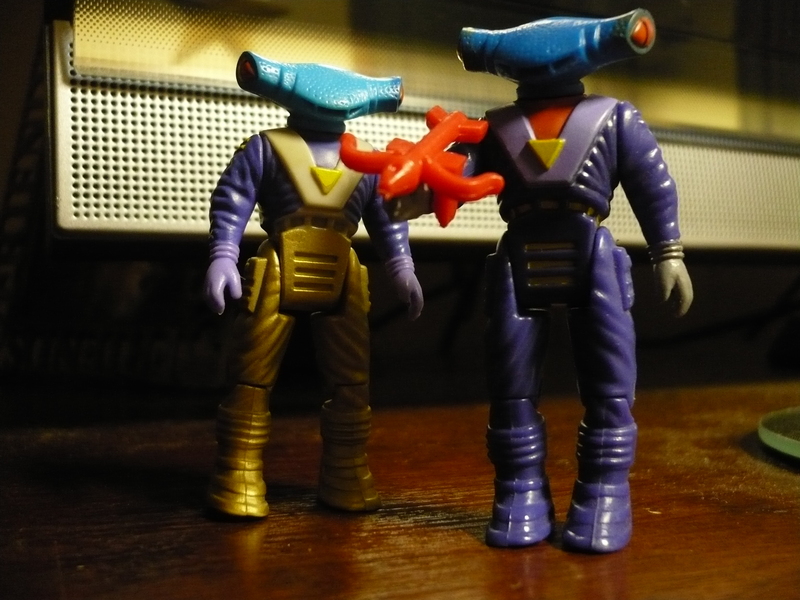 And these figures are the nicest representations of the Turtles I have ever seen. 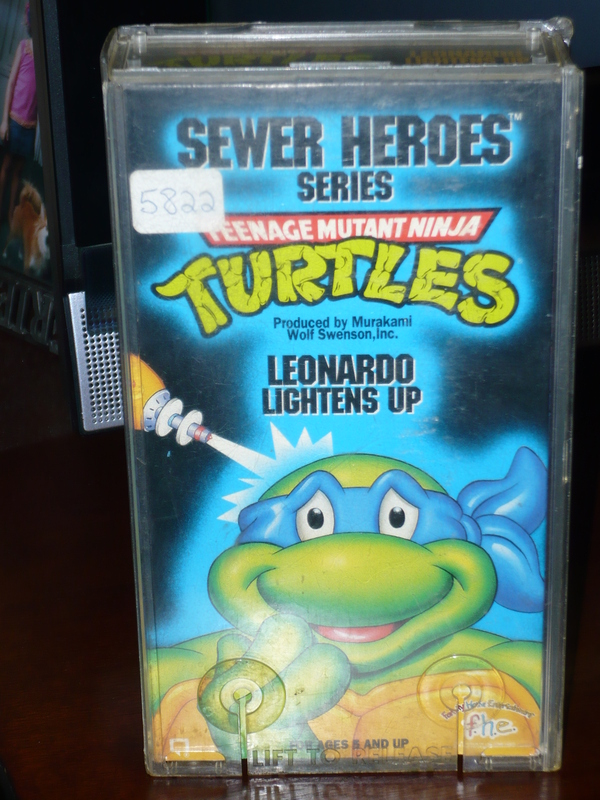 Don’t get me wrong…I got into TMNT the same way most of you did. 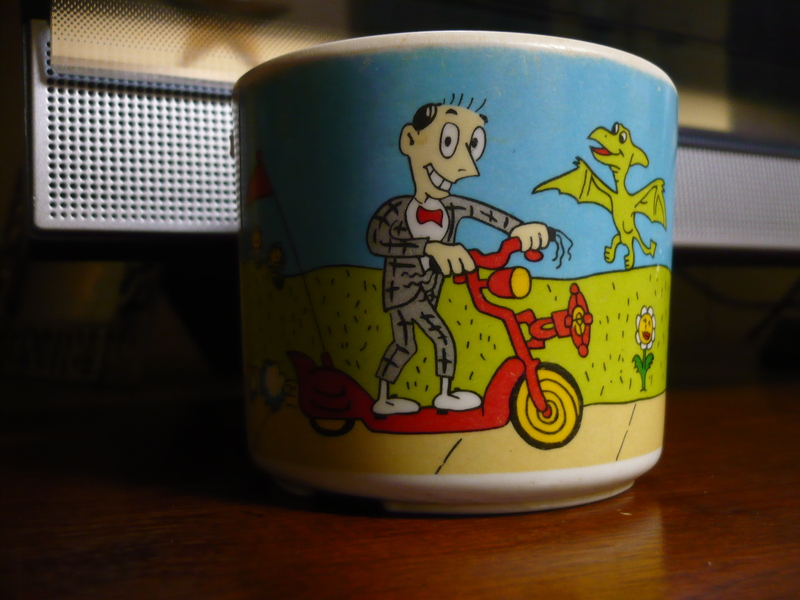 I was about 9 years old when the cartoon and subsequent toyline came about. It was when I started to get heavily into comics(when I was around 11 or 12), that I was introduced to the real Turtles. And these figures are spot on from how they looked in those old comics. 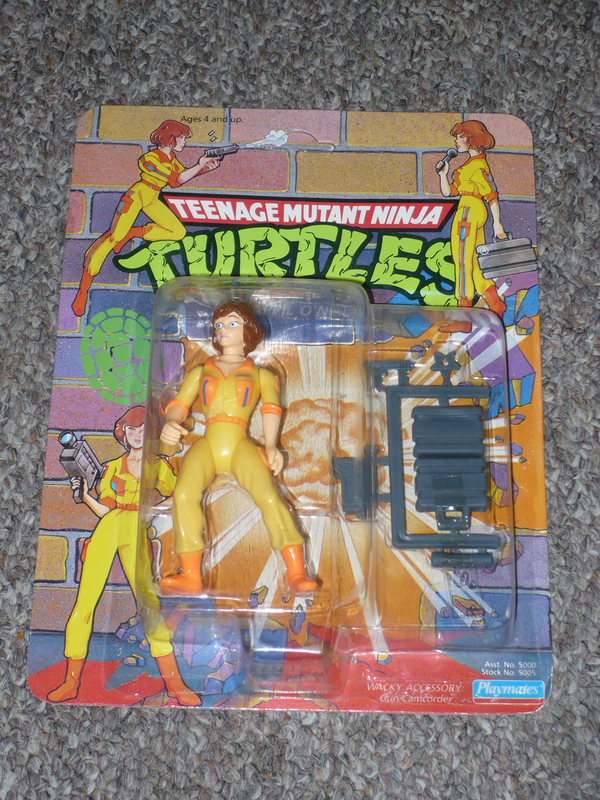 Each Turtle came with their trademark weapons, a few accessories(like extra hands etc.) and a piece of a base that, when all connected together, made a nice diorama of a city street. I’d like to get the other 3 and open all of them. 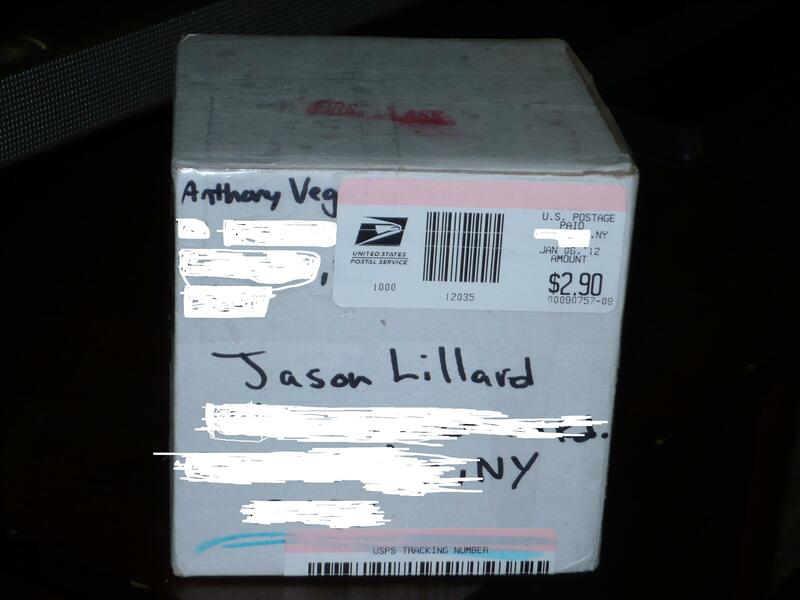 But as of right now, I don’t see any reason to open it. It looks nice in the package(NECA did a great job on this as well), and I really don’t have any more room to display stuff(I may have to start swapping out figures every now and then). First we saw a 25th Anniversary TMNT figure. 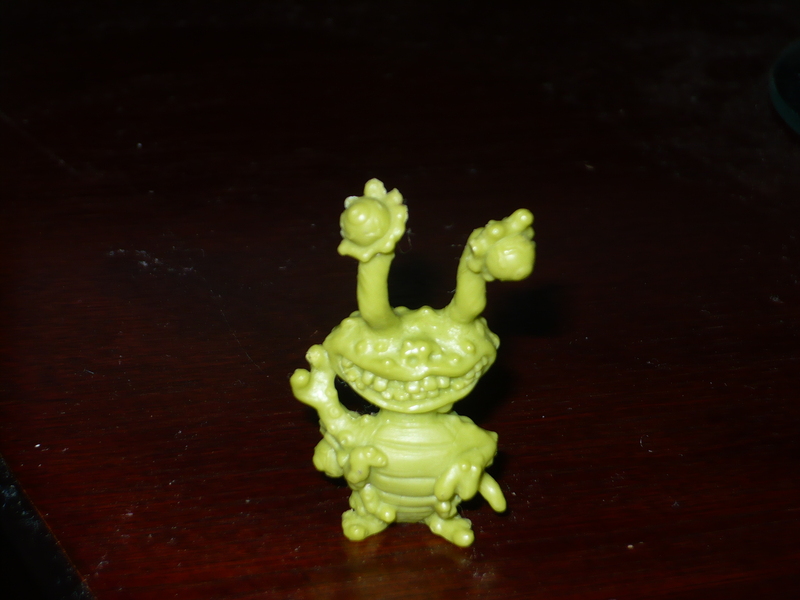 Then we saw a figure from the original series. And today we’ll be checking out a figure from one of the live action movies. Princess Mitsu was a character from the third live-action Teenage Mutant Ninja Turtles movie. While it’s the weakest of the first three movies, I still like it! 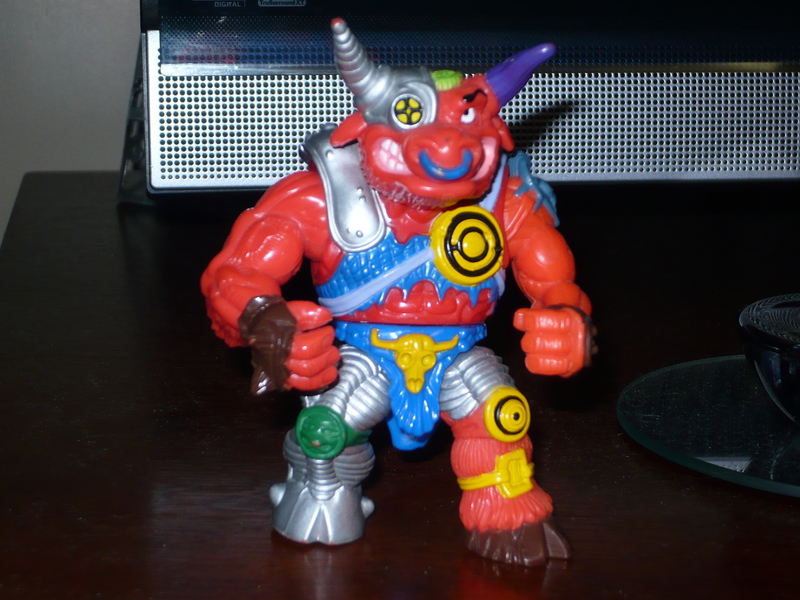 Even though it’s a movie figure, it’s still on par with the cartoon figures. It still has a file card for the character inside, and still has the Pizza Points as well! 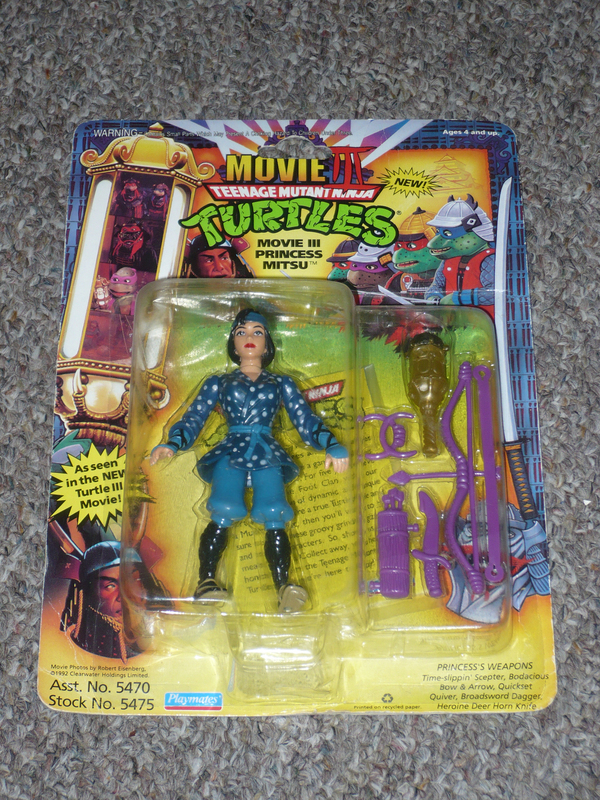 The princess comes with various weapons and the sceptor that sent the Turtles back in time. 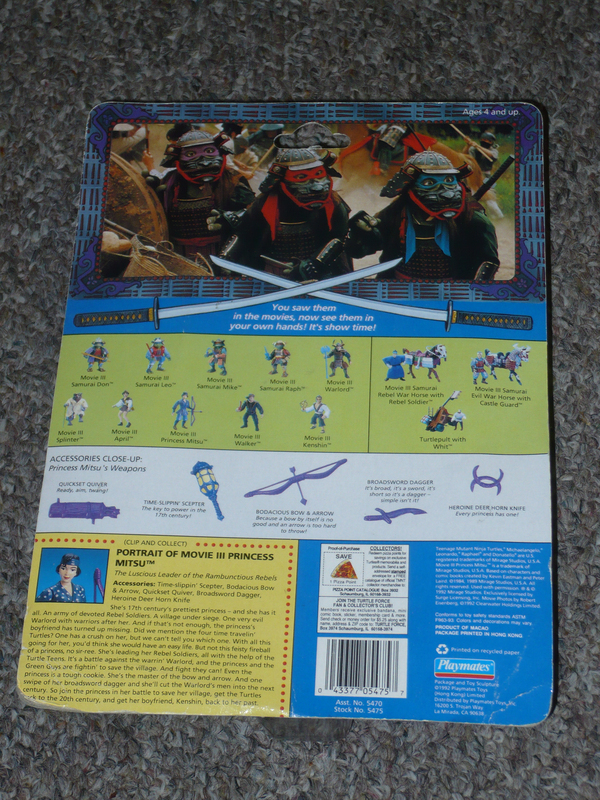 On the back we also get to seee a still of the Turtles from the movie. 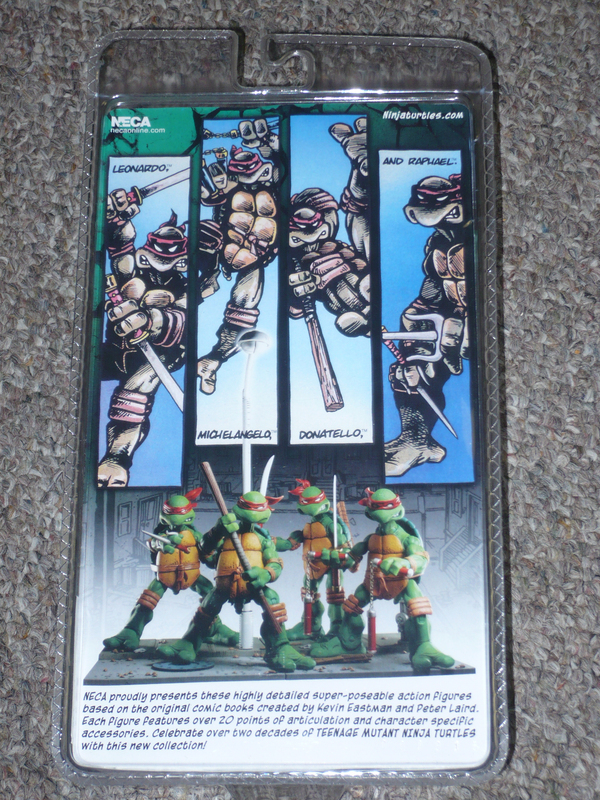 And the only figures advertised on the back, are ones that are tied to the movie(with the Turtles looking the best). 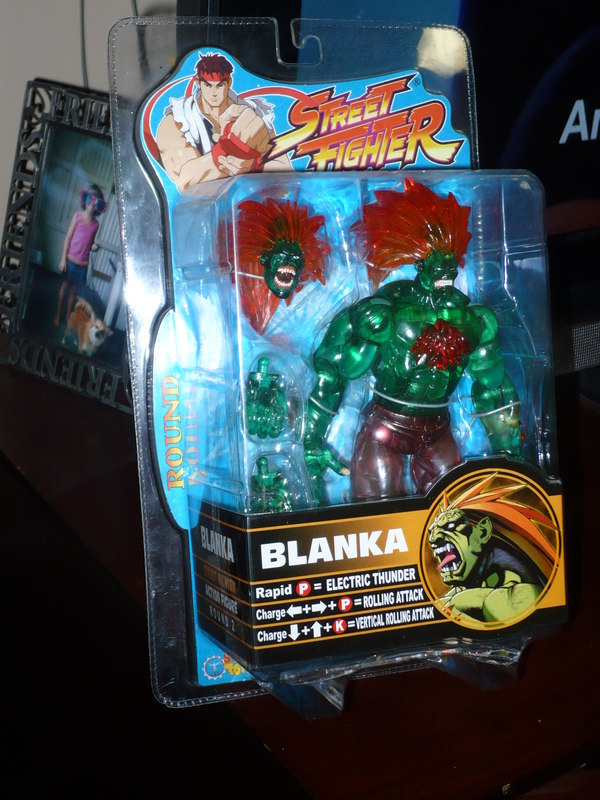 You should be able to find this relatively cheap, as it’s not anywhere near rare or popular figure. The next(and last) carded TMNT figure will also have a difference from the other three(I didn’t orginally notice this). This is an April O’Neil from 1990. 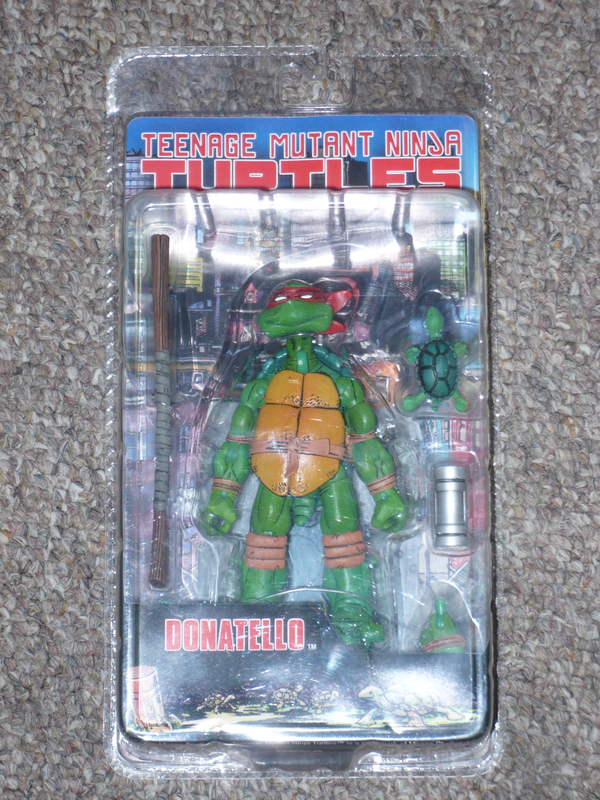 I won this in a lot of TMNT stuff on Ebay, about a year or so ago. 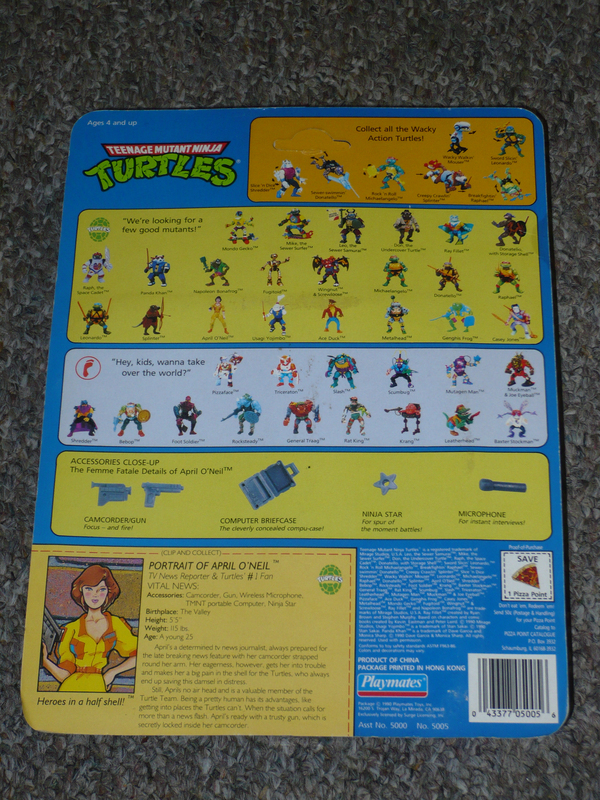 As you can see from the figure assortment on the back, TMNT was huge at this time. Unlike the 25th anniversary figures, the artwork on the front of this card features only April. With the newer cards, there are a few different characters on the front, and every card is the same. 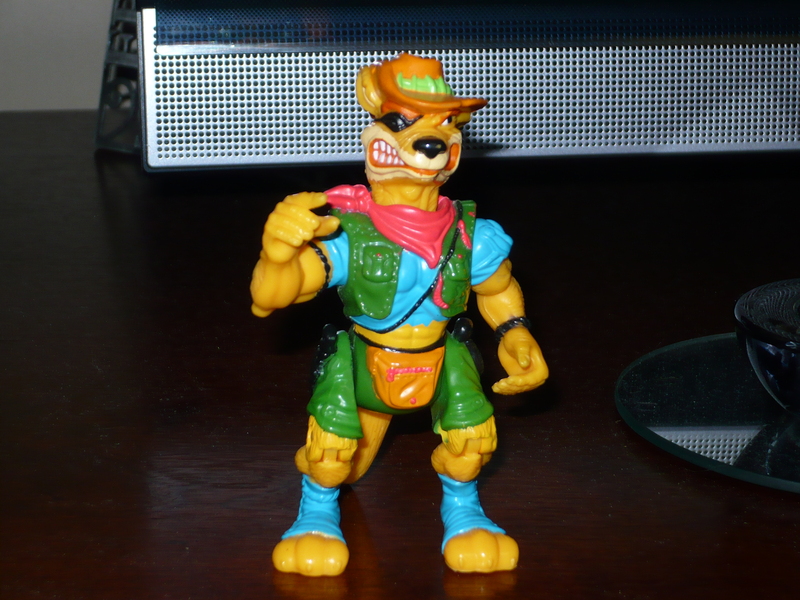 There were a few variations of this figure with no stripes on the pants, or different color stripes on the pants. The one I have is the most common variation. It’s not one of the Turtles, but I’m happy to have it in my collection.